1. 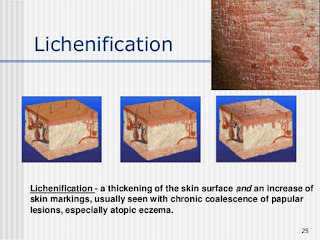 Lichenification: A distinctive thickening of the skin that is characterized by accentuated skin fold markings. 2. Scale: Excessive accumulation of stratum corneum. 3. Crust: Dried exudates of body fluids that may be either yellow ( i.e serous crust) or red ( i.e hemorrhagic crust). 4. 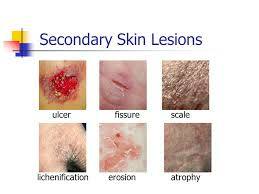 Erosion: Loss of epidermis without an associated loss of dermis. 5. 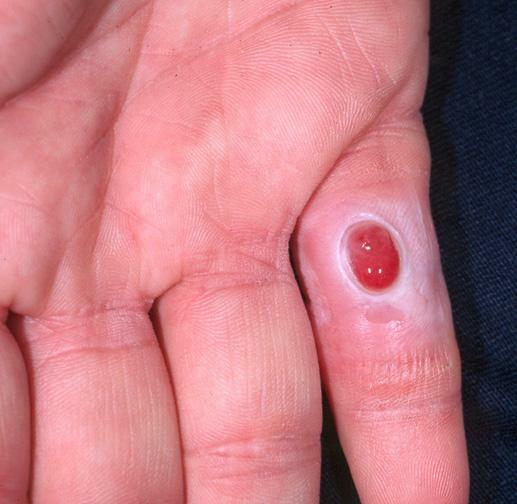 Ulcer: Loss of epidermis and at least a portion of the underlying dermis. 6. Excoriation: Linear, angular erosions that may be covered by crust and are caused by scratching. 7. 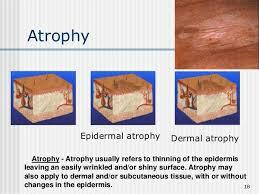 Atrophy: An acquired loss of substance. In the skin, this may appear as a depression with intact epidermis ( i.e loss of dermal or subcutaneous tissue) or as sites of shiny, delicate, wrinkled lesions ( i.e epidermal atrophy). 8. Scar: A change in the skin secondary to trauma or inflammation. Sites may be erythematous, hypopigmented or hyperpigmented depending on their age or character. 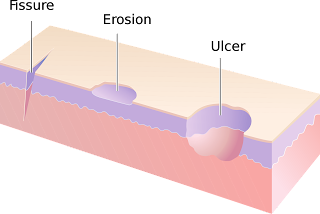 Sites on hair bearing areas may be characterized by destruction of hair follicles.